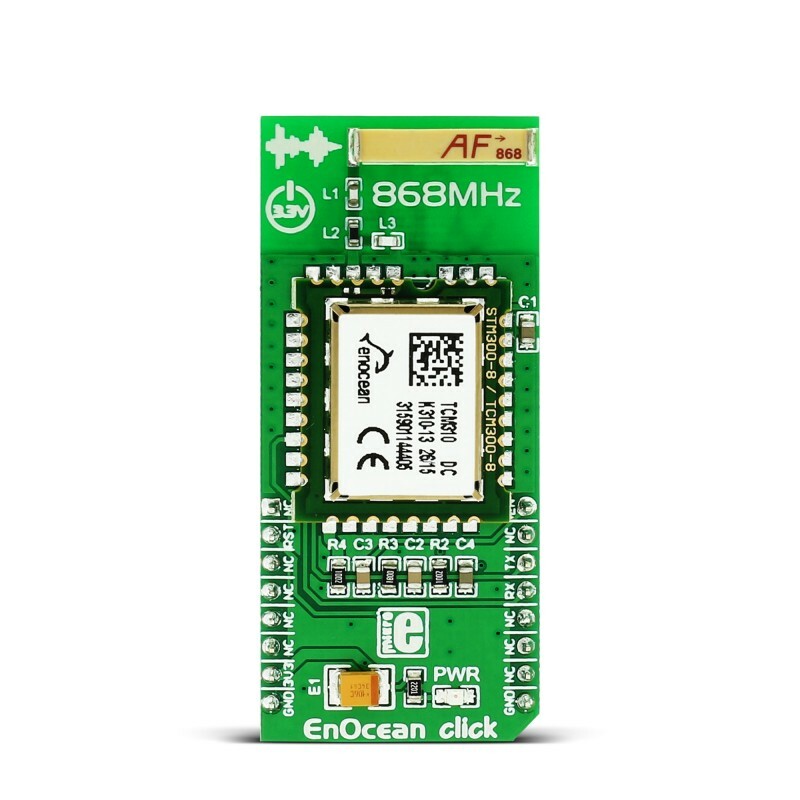 EnOcean click carries a TCM 310 transceiver, which is a bidirectional gateway for EnOcean’s 868 MHz radio systems. The click is designed to run on a 3.3V power supply. 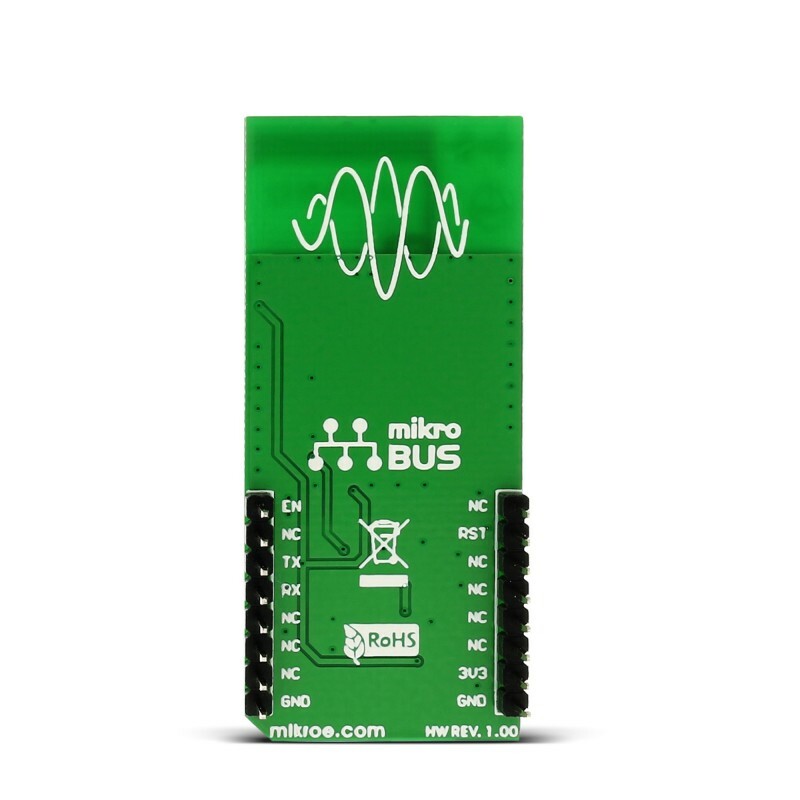 It communicates with the target MCU through UART (TX, RX pins), with additional functionality provided by RST and EN pins. Note: Modules with 868 MHz frequency are suitable for Europe and other countries adopting R&TTE specification. Versions of EnOcean click covering different frequency bands will be available in the future. 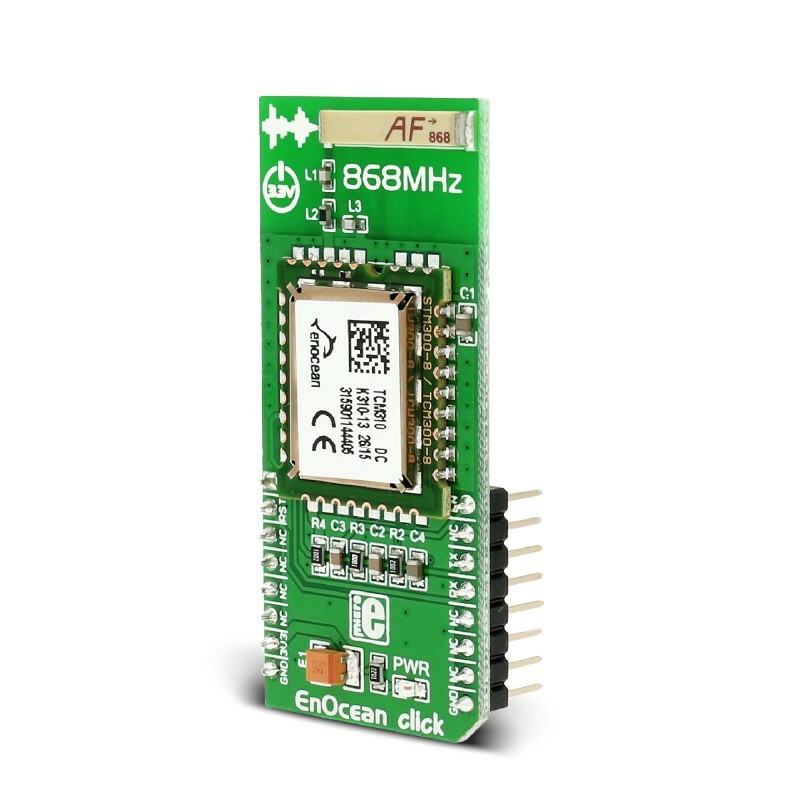 This low-powered wireless module is intended for use together with EnOcean’s range of energy harvesting modules that include self-powered, battery-free wireless switches, sensors and actuators. EnOcean offers a range of modules compatible with TCM 310. 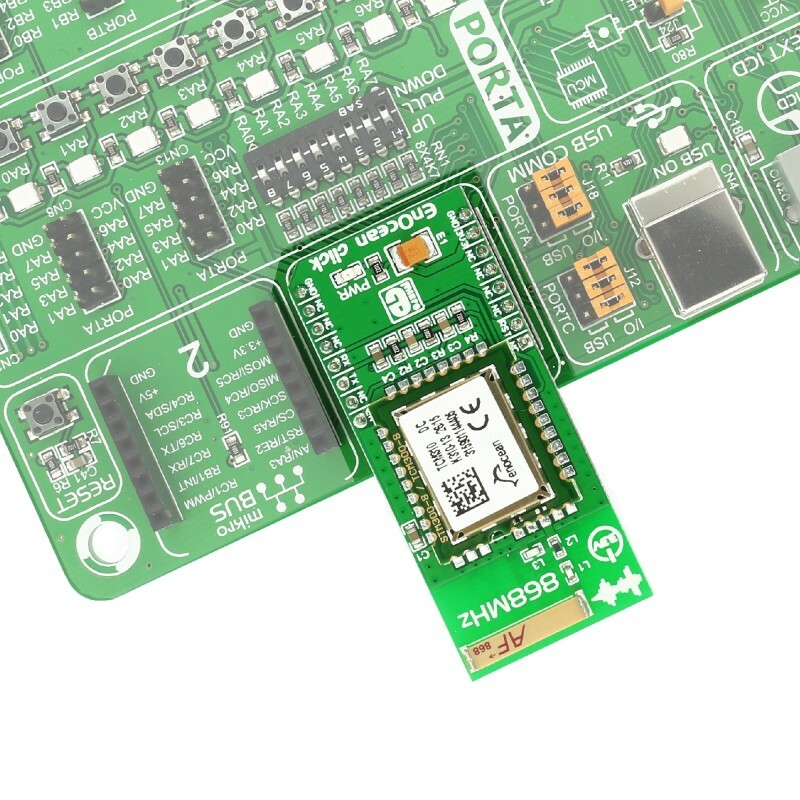 Those are miniaturized energy converters that use the surrounding environment — motion, light or temperature differences — to harness enough energy to send a wireless signal to the receiver onboard EnOcean click. The TCM 310 module can also be set up as a repeater to extend the range of the signal. You can then develop various battery-free switching systems, data loggers and similar. EnOcean click features a small high-performance 868MHz chip antenna onboard so no external antennas are required. This table shows how the pinout on EnOcean click corresponds to the pinout on the mikroBUS™ socket (the latter shown in the two middle columns). The function sends ESP3 packet header and data over UART interface to an EnOcean module.